Valentines Day is about expressing and spreading love. For me love and chocolates are synonymous. Since my childhood I had been a great fan of Cadbury’s dairy milk and why not, when you crave for that melt into mouth silky velvety feeling, you definitely need one. 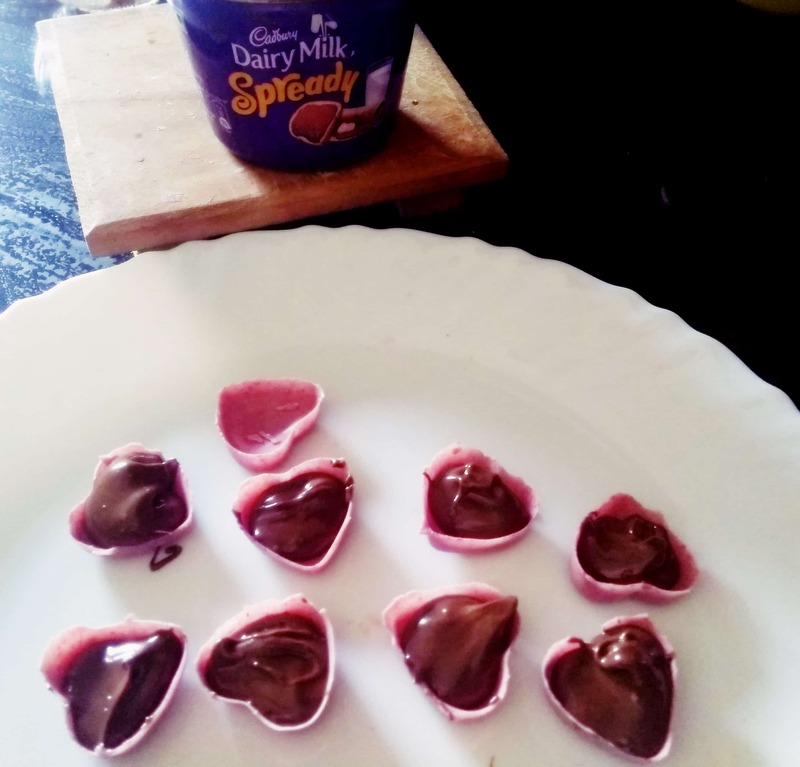 The latest one on the list is Cadbury’s Dairy milk spready which is a soft creamy , smooth ,and chocolaty spread, ready to take you to chocolate heaven. This amazing product is recently launched and I had so much fun during the launch day. 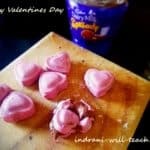 You can read about the product launch party of Cadbury dairy milk spready and a cookbook of 70 delicious recipes here. 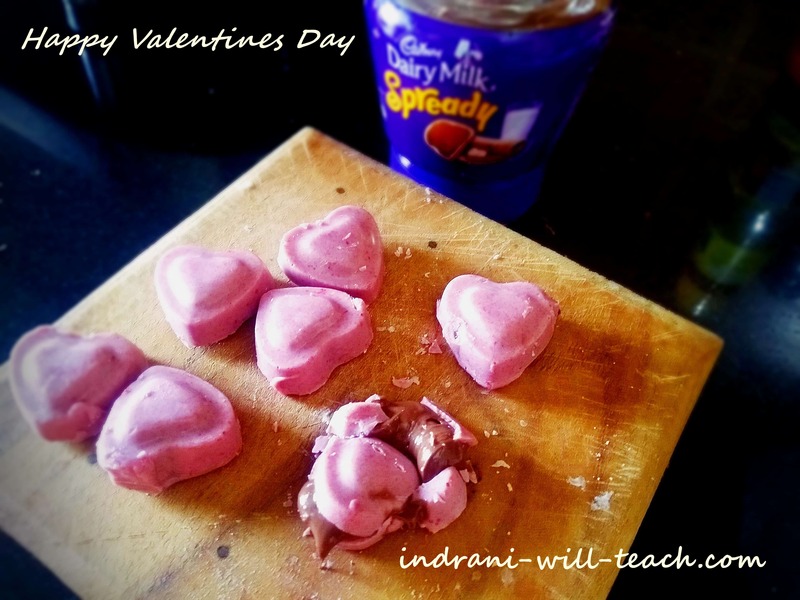 and In this recipe which I prepared specially for Valentines Day, I filled these mini pink hearts with the Dairy milk spready center. How fascinating! I did not have to make chocolate ganache which made the process super easy and saved a lot of time. 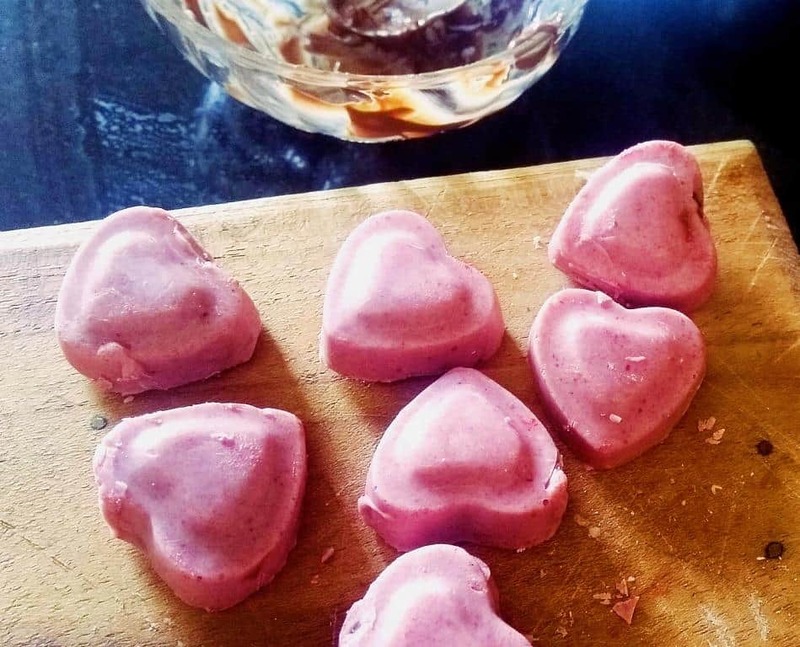 The result was creamy, sticky and soft centered chocolates which tasted delicious. I can’t wait for my daughter to come back from the school, break those hearts and taste divine chocolaty surprises hidden within them. Chop the white chocolates into small pieces. Turn the mold upside down on the bow till the extra chocolate flows out. Keep it in refrigerator for sometimes. Repeat the process of pouring chocolate and draining the extra chocolates. Wipe the spaces outside the mold with a tissue. Keep it in refrigerator for another 5 to10 minutes. Micro the spready for 10 to 20 seconds till its thick and flowy. With a spoon fill up the shells with the spready. Pour the remaining white chocolate in a piping bag and seal the top. Keep it in refrigerator for another 5 to10 minutes and ready to serve.